Post here your questions and comments about the Create a parquet floor tutorial. How must be the settings in mental ray. I try it with: maps\mental ray\Multi/Sub-map. It don't works. Thanks for contacting us. There are a couple of differences when using RailClone with Mental Ray and V-Ray due to the functionality of the two engines in 3DS Max. The tutorial was made with V-Ray but unfortunately Operator->Material and Segment->Deform->Mapping are not available with Mental Ray (You can find more details in the Best Rendering Practices guide). If the area is not too large, you could turn off the Geometry Shader by unticking Display > Render > Use Geometry Shader . This will return material ID support but disable instancing. If you need to maintain instances, then I normally create multiple copies of the source geometry, each with a different material ID. Then add each to railclone as a separate Segment and use the Randomise operator to create the texture variation. Thank you for your helpful Tip. With unchecked Display > Render > Use Geometry Shader and mental ray Multi/Sub-map until now all Problems are gone. 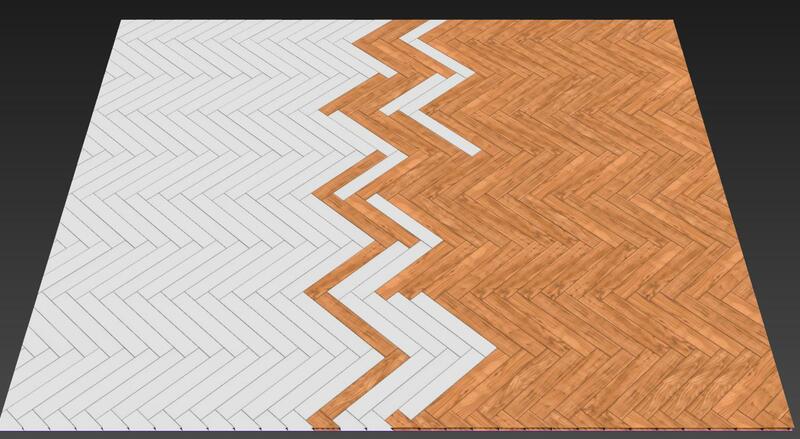 In the herringbone tutorial, the offsets seemed like they were just plucked out of thin air, and when trying to reproduce this style of flooring but with different size boards, I had a hard time figuring out what settings to use for padding, etc. Also notice that both formulas are encapsulated in parentheses with a preceding minus (-) sign. This is because the end result should be negative. If you create numeric nodes for user input and set them to use scene units, name one of them width and the other length, and plug those into the inputs of the arithmetic nodes, you have yourself a parametric herringbone floor...sorta. These values don't actually change the size of the planks, you still have to do that manually. Sorry for the quick write-up...I can post images if anyone gets stuck or needs a better explanation. Thanks for submitting that it works great. I just eyeballed it for the tutorial but this works much better. Check out the attached file for an example. Thanks, Paul! Happy to share. And thanks for that correction. This product keeps getting better and better! So glad to hear about the new ability to export the segment size - it makes this preset so much more user friendly! You could get something like that by switching segments based on their position in the array. So for example the first 40% of the array uses the Wood texture, After 60% you use the white texture, and between 40% and 60% randomised between the two. In this case Input1 is the Transition start value and Input2 is the transition end value. When this equation outputs 1, the selector operator will use the wood texture, when it outputs 3 it will use the white texture, and an output of 2 uses a random selection of these two. Hopefully the attached file will make this clearer. Oh nice ! Hopefully railclone is much better than i was thinking ! Thanks for great tips for parametric herringbone. I was banging my head against a wall till I found this info. A quick question if anybody actually looking at this old thread though. Are there anyway I can go completely RC solution without having original box for the plank? I plugged numeric input to the box segments X fixed size and y fixed size and named length and width, but when I input values other than the original size of the plank geometry, the RC style breaks. It is not a big deal as I can always extract the segments after importing the style from the library, but it would be nice if I did not have to. What is the difference between modifying the original geometry and setting values with numeric input? The reason adjusting the size in RailClone doesn't work is that the X Size and Scale properties affect segments after they've been rotated, so they deform. The good new is that in RailClone 3, this behaviour has been changed. The Fixed Size is now applied before the rotate operation and it should all work as you'd expect. Here's a little video of the herringbone style in RailClone 3. I haven't changed the style in any way. Thanks for your quick response. Unfortunately I cannot see the video. I tried a few computers but the video is not working. Can you check to see if there is any problems? Anyway good to hear it has been changed for future version. Apologies for that. It's possible a browser compatibility issue. Here's the direct link, but it's only a little screen recording of the style in RC3. Thanks for the video. It was exactly what I wanted. Is this going to be part of RC3 library? 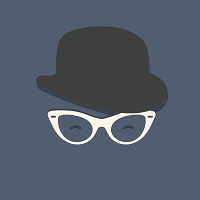 If so, other floor styles would be updated as well?